Aria, Emily, Spencer, Hanna and Alison have been best friends since the third grade. They go everywhere together, thinking no-one can come between them. If anyone is the ringleader of the group it is Alison, and the other girls cannot help but confide all their secrets to her. One night, during a sleepover, Alison goes missing. Her body is never found. The girls mourn her death but move apart after time, assuming their secrets have disappeared with Alison too. 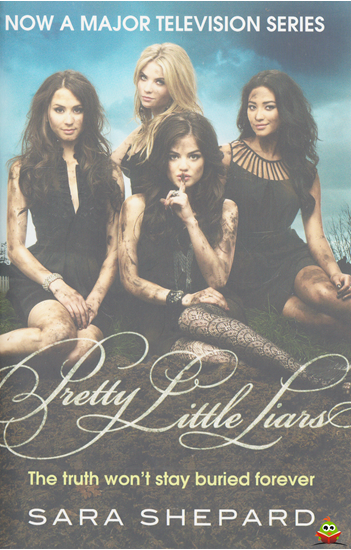 Three years later and Aria is having an affair with her teacher; Emily is questioning her sexuality; Hanna is a thief; and Spencer is flirting with her sister's fiance. They all think their secrets are safe, until they starting receiving messages from the mysterious A - who knows exactly what they are all up to, and is threatening to spill the beans . . .